Here are some supplies that recently arrived from All Things for Sale. 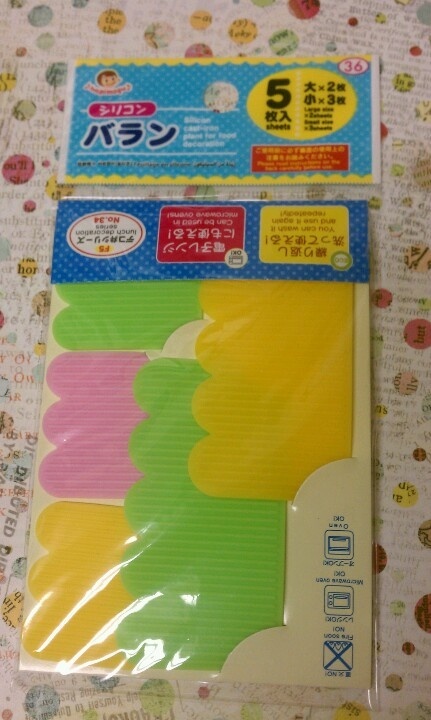 I have to admit that lots of my inspiration for this shopping trip came from the lovely Queen of Bento Boxes: Wendolonia. I love her style because its simple and clean but still super cute and creative. Love her! Anywhoooo…. here we go! 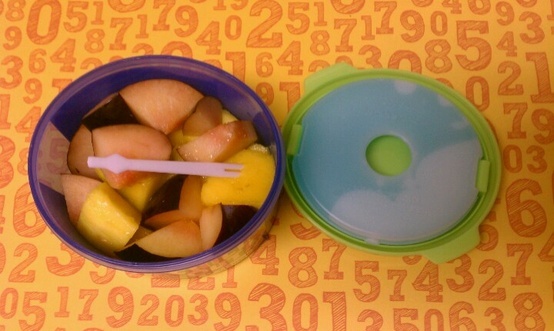 These containers are amazing! Why? 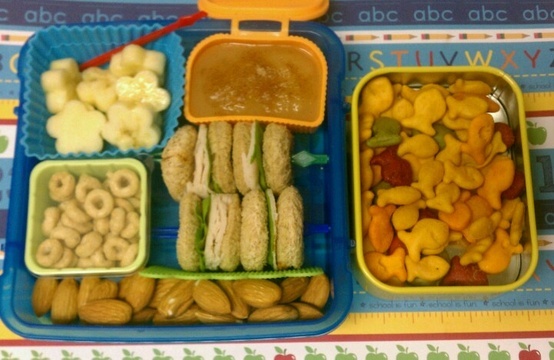 Because they are like the best of everything Bento. 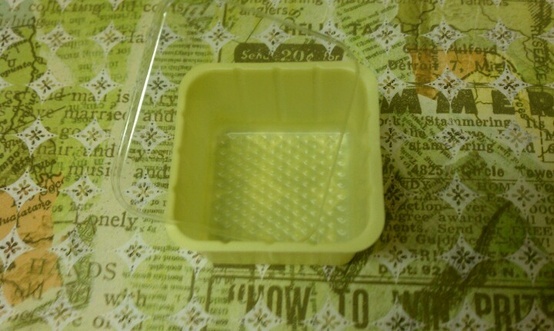 They’re silicone so that means they are soft and will play nicely with others inside the box PLUS the top is…ATTACHED! *cheers* *applause* Which means your kid can’t loose the top! 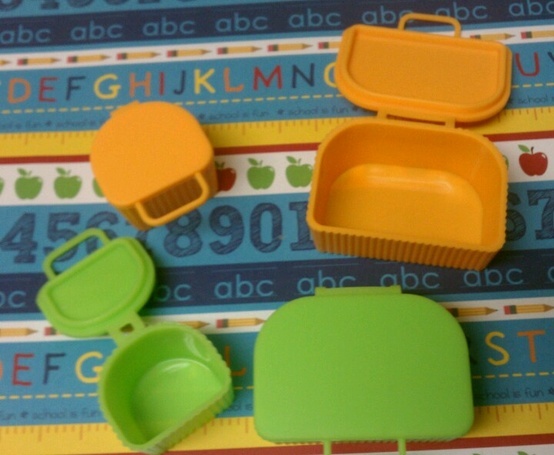 Lastly, though its soft silicone the top is surprisingly secure so the wet stuff stays inside but it easy to open for little ones. *sigh* I love these little things. 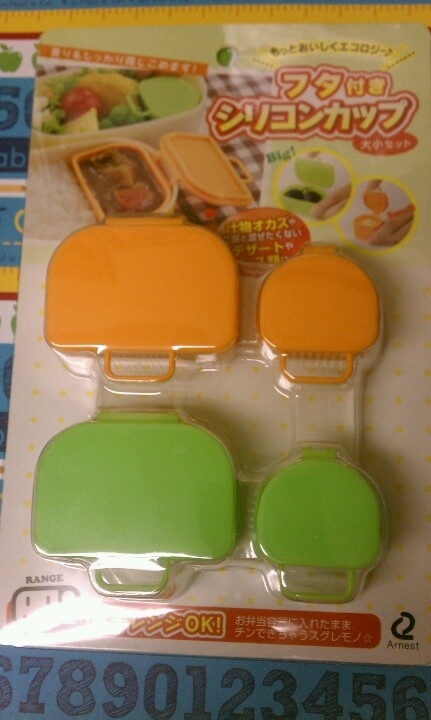 Next, silicone food dividers. Now, I have not been one to use “food walls” ,as my kids called them, but not for any real reason. Just one of those “I didn’t know what I was missing because I never had it” things. The jury is still out on how vital they are to my needs. So far I like them! These little buddies were so low-cost I ordered them just to see what they were! LOL. They are little thin thin thin fragile delicate thin little cups to hold stuff. Did I mention that they’re thin? They come with a clear top that kind on pops on. 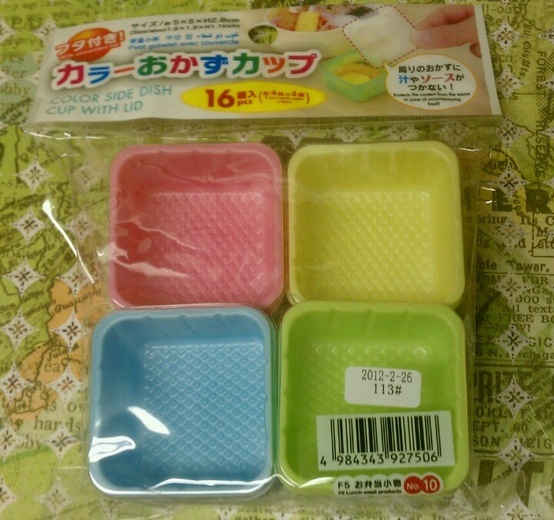 They are sort of a mixture of disposable cups and reusable cups. When you are washing them they crack and break if your rough but they hold up wonderfully if your gentle. I’ve used them for dry cereal and also for yogurt. Happy to report that it was a success! Here’s one with the little top. Look carefully for the top…its there. LOL. 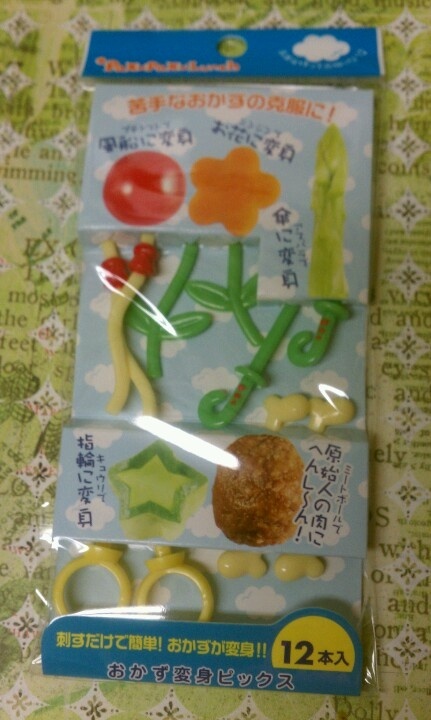 Cute food picks. Pumped about using these! S/O to Wendolonia for the suggestion. This is our fist time using this bowl. 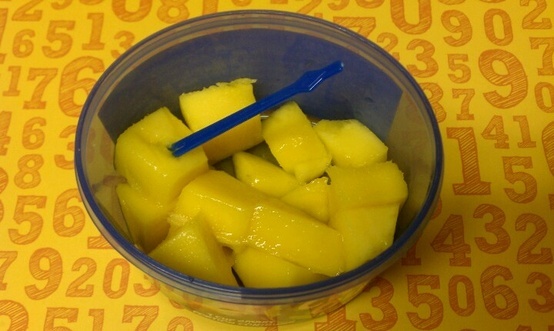 Diced mango! 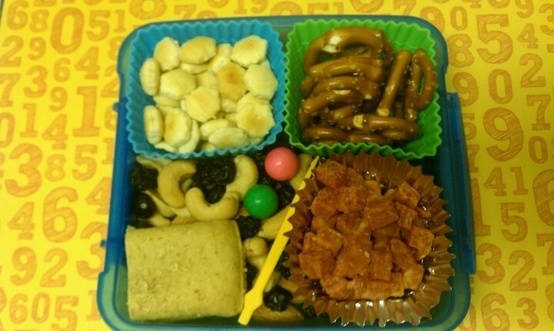 The third grader wanted this: Oyster Crackers, Pretzels, Homemade trail mix with his fav (cashews and dried blueberries) Half a strawberry fruit bar, diced pepperoni and two pieces of contraband. 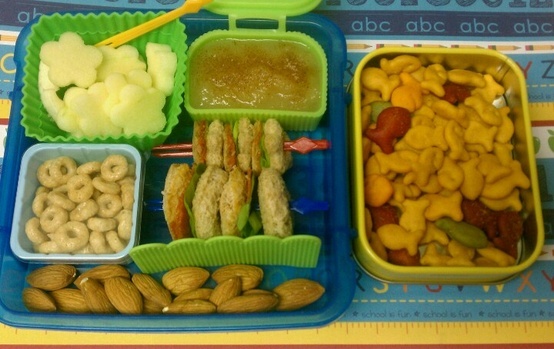 From the top left: banana flowers, apple sauce with cinnamon on top, Cheerios, Turkey and lettuce Crabby Patties (wheat bread and a medium size round cutter), almonds and gold fish. 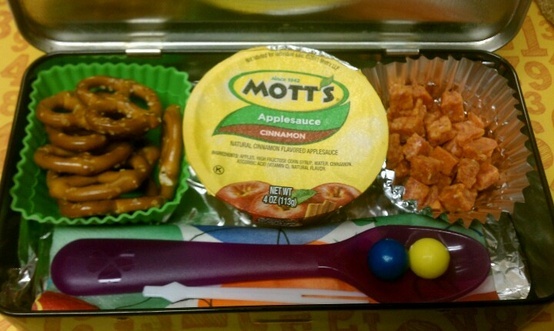 From the top left: apple flowers, apple sauce with cinnamon, Cheerios, one skewer of Pepperoni and lettuce Crabby Patties and one skewer of Pepperoni and lettuce clover sandwiches ( the kids were being creative), almonds and goldfish.